Two victims of the infamous Cleveland kidnapper share the story of their abductions, their decade in captivity, and their final, dramatic rescue. 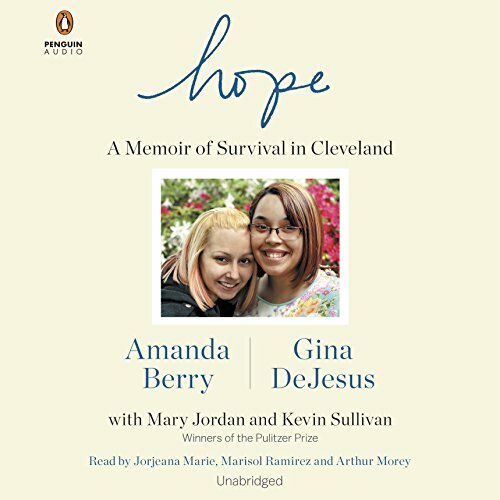 On May 6, 2013, Amanda Berry made headlines around the world when she fled a Cleveland area home and called 911, saying: "Help me, I'm Amanda Berry.... I've been kidnapped, and I've been missing for 10 years." A horrifying story rapidly unfolded. Ariel Castro, a local school bus driver, had separately lured Berry, Gina DeJesus, and Michelle Knight to his home, where he kept them chained in the basement. In the decade that followed, the three were raped, psychologically abused, and threatened with death. Berry bore a child - Jocelyn - by their captor. Drawing upon their recollections and the diaries they kept, Amanda Berry and Gina DeJesus describe a tale of unimaginable torment, and Pulitzer Prize-winning Washington Post reporters Mary Jordan and Kevin Sullivan interweave the events within Castro's house with the ongoing efforts to find the missing girls. 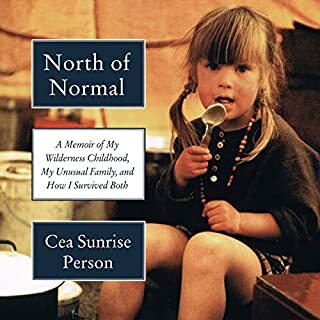 The full story behind the headlines - including shocking information never previously released - Hope is a harrowing yet inspiring chronicle of three women whose courage, ingenuity, and resourcefulness ultimately delivered them back to their lives and families. Read by Jorjeana Marie, Marisol Ramirez, and Arthur Morey. 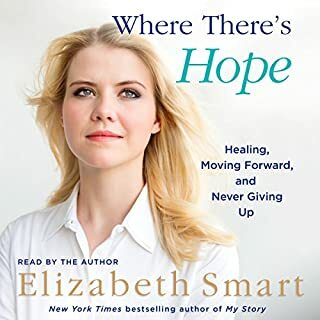 Would you consider the audio edition of Hope to be better than the print version? I've not read the print version but I thought the narration was good. I liked the sweet irony of Amanda, the girl he loved the most(if you can call it love) being the one that escaped and got him caught. I hope it hurt him to learn that, I hope it hurt a lot. I started crying when Amanda's mother died before getting to see her daughter again, it broke my heart and made me hate Castro even more. 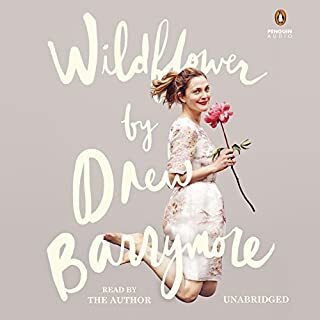 I've read Michelle's book before this and found her really remarkable and wanted to know more about the story from the other girls point of view, and while I enjoyed it overall and found it really moving the way Michelle's role was minimized bugged me a lot. I mean I understand it to a degree since she's already told her story herself and this is about Gina and Amanda, but the way it just skims over her involvement in their lives comes off as sort of dismissive at times? Like when she helped Amanda deliver her baby and Amanda choose not to mention the part where she actually saved the kid's life, or the way Gina doesn't really talk a lot about Michelle and their relationship even though they went through so much together and were really close. The way they're framing it it's like Michelle isn't really important and barely an afterthought compared to Gina and Amanda which makes me a bit offended on her behalf. I think it's unfair to her, she didn't have what they had once she got out but that doesn't mean her life is any less precious. Other than that it was a great read and gave me a greater understanding of the situation, if you haven't read Michelle's book yet I highly recommend it though to get the whole picture. As someone growing up in Cleveland, this story hit home. We all knew them from missing persons flyers and news stories. Listening to their memoirs was truly amazing. I wish all of them happy, healthy and fulfilled lives. Well written story of Hope. 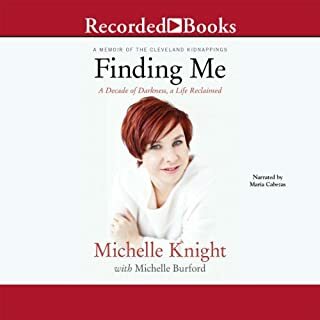 I listened to Michelle Knight's book "Finding Me" a few months ago. I was happy to also listen to Amanda and Gina's recount of their horrific experience. I now have a clear understanding of the reason for Michelle's sad experience after escape. Michelle did not have anyone looking for her. She also came from an abusive family before she was kidnapped. Michelle did not have her son waiting for her either. And to add salt on the wound, she was not invited to Washington DC by the Center for Missing Children. I believe this was a grave oversight by this organization. Even though she was an adult when kidnapped, she should have been included. I recommend this book. I want my granddaughter to listen to this. She is 14 and needs to understand the dangers of following society's rules that girls should always comply. Hard to start but a finish I will remember forever! Don't be discouraged by the harsh nature of the subject. These women deserve to be heard and you will never be the same after hearing their story of courage, determination and HOPE. 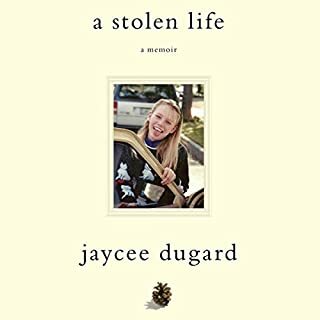 I was in tears by the end... Heart touching what these girls had to endure... And the happiness of there escape and rebuilding of there life... A must read!! 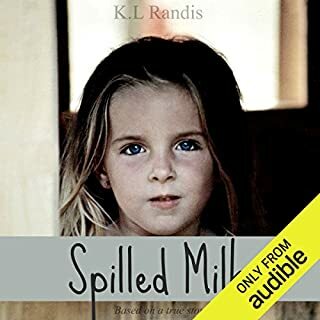 I would not recommend this book to a friend mainly because I found the story inspiring however I found it redundant being that both girls were telling a very similar story. I have heard that the other girl's book is much better. I wish I had heard about it prior to this one. No, I did not enjoy this one. I think Gina's voice & personality was portrayed very well, but Amanda came off very annoying and like she was better than the other girls. I feel for the abductee who was left out of this book. 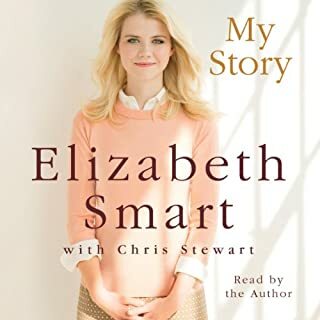 I haven't read this book, but the audio version was fantastic. 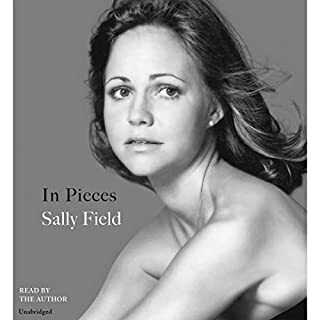 The narrator really pulled you into the book. What was one of the most memorable moments of Hope? Amanda telling her birth story, it was an incredible narrative and so unreal to picture it all happening. the detail in the book, made it seem as if you were watching it on tv. hearing about Amanda's mother passing away. I wanted to reach through the book and hug her! it was so incredibly sad to hear that her mother passed away before she was rescued/escaped. This book was amazing. 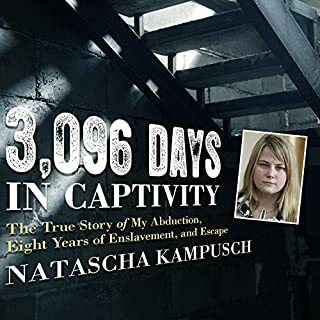 I also listened to the Michelle Knight book last year. I loved getting the different witness accounts stories. Ariel Castro is a coward and did what a typical coward would do which is physically, mentally and sexually abuse women but when the tables turn take his own life. Your in hell where you belong!!! I have been waiting for your story. It was worse than I expected . 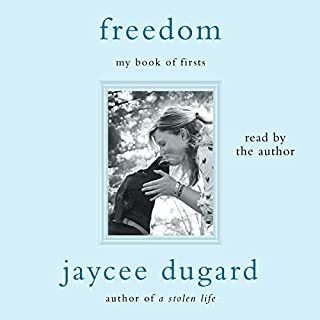 Once I started listening I could not put it down. Narrating was excellent.